UPDATED: Thu., March 15, 2018, 8:15 p.m.
BOISE – Gonzaga won another NCAA Tournament opener and extended an active streak only one of college basketball’s bluebloods can match. By sneaking past UNC Greensboro 68-64 Thursday at Taco Bell Arena, the Bulldogs won in the first round for the 10th consecutive year. Entering the day, only Gonzaga and Kansas had current streaks of nine straight opening wins, so the Bulldogs had the mark to themselves for a few hours until Kansas played and beat Penn 76-60 in a Midwest Region game at Wichita, Kansas. GU’s streak started on March 19, 2009, when the Bulldogs beat Akron 77-64 in Portland. 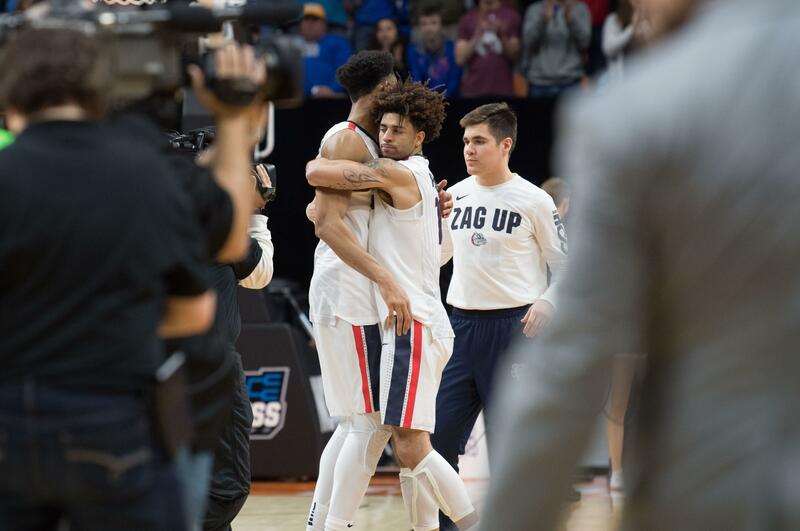 Thursday was the closest the Zags have been to letting that streak slip away. They trailed UNCG with less than two minutes to play, but went ahead on a 3-pointer from Zach Norvell Jr. with 23 seconds to go. Four points is the closest margin of victory the Zags have had during the stretch. The next closest was a six-point win over Southern University in 2013 at Salt Lake City. Published: March 15, 2018, 7:42 p.m. Updated: March 15, 2018, 8:15 p.m.